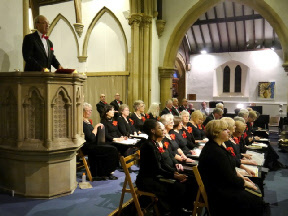 The Twyford Singers sang to a packed church on 13 December, and no wonder. 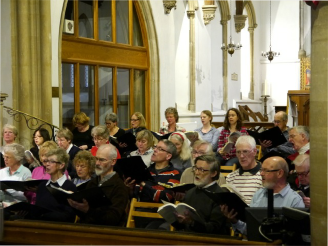 Our choir, formed over 50 years ago, has grown from strength to strength since Helen Styles became its Musical Director in 2011. 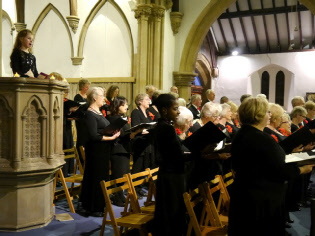 The choir sang favourites such as God Rest Ye Merry Gentlemen, O Come All Ye Faithful and It Came Upon A Midnight Clear, as well as lesser known works such as The Lamb, Tomorrow Shall Be My Dancing Day and The Shepherd’s Pipe Carol, with arrangements by Bob Chilcott and John Rutter. 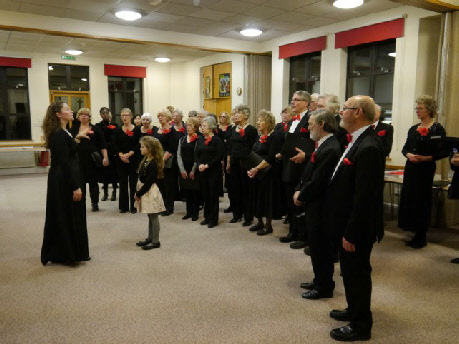 Solos were given for Away In A Manger and Once In Royal David’s City by Katie Styles, the young daughter of conductor Helen. 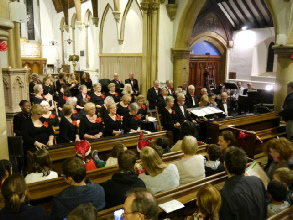 A new arrangement of Angels From the Realms of Glory delighted the audience, and the concert closed with performances of The Twelve Days of Christmas. 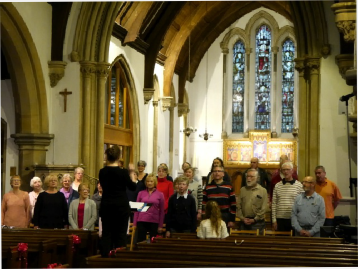 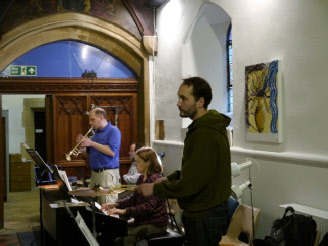 Be sure not to miss the Easter Concert, which will be performed on Sunday 20 March at 7.00pm in St Mary’s Church Twyford. 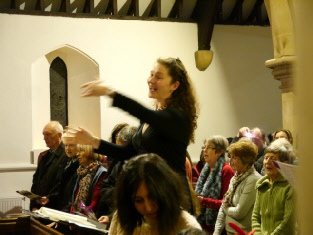 The programme will consist of works by Stainer, Wesley, Rutter Vaughan Williams, Purcell and Tallis. 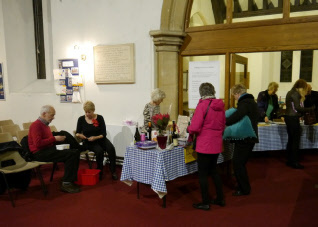 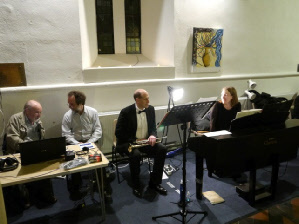 Recording the concert, trumpeter Owen, accompanist Judith and our raffle.